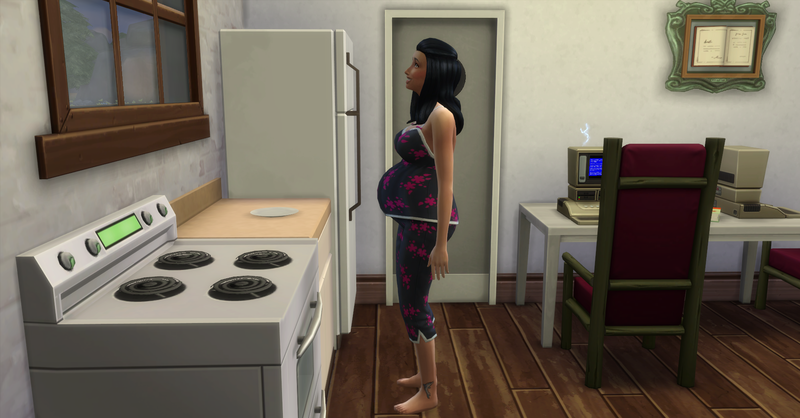 Today is the last day of Rosabelle’s pregnancy, the baby has really been difficult for her. Pawel is also worried about being able to provide enough for his child. Rosabelle wakes up early again this morning, she really has to pee. The baby will just not let her rest or relax at all, her back is sore and she is nauseous all the time now. 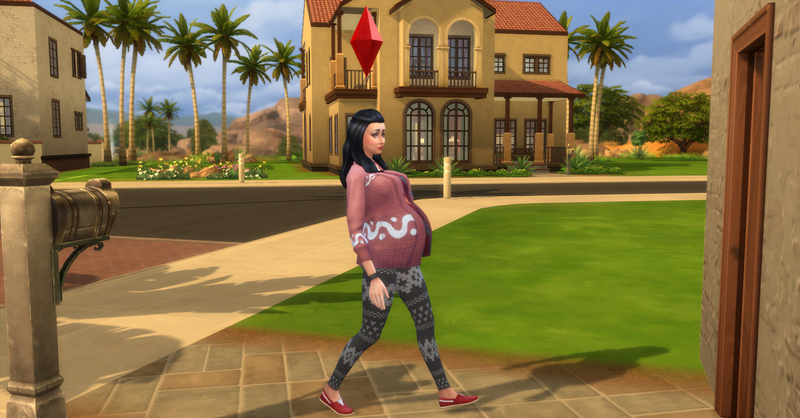 She is 3 hours away from the 3rd trimester now. Maybe she should take family leave today, but she wont have the baby today so maybe not. She eats some of the eggs Pawel prepared last night for breakfast. After eating she goes to tend the garden. She evolves both flowers to nice quality. Pawel comes out to chat with her while she finishes weeding the garden and he eats his breakfast. 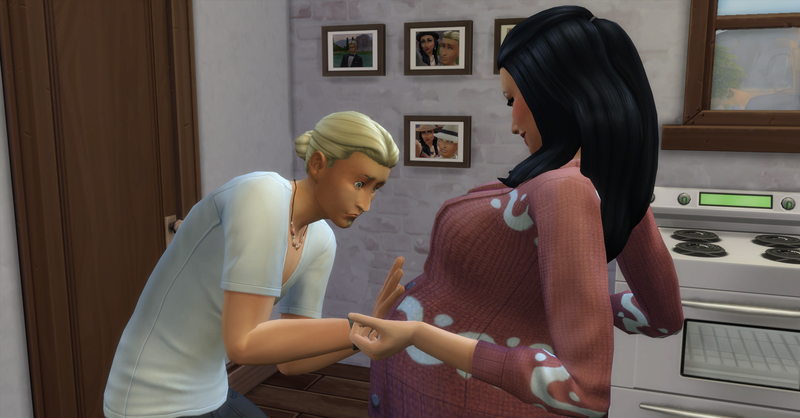 Rosabelle invites Pawel to feel their baby. He is amazed that there is a little sim in there who is making Mommy miserable. He tells Rosabelle that he is the luckiest man alive and the she is the most beautiful women he’s ever seen, even though she is enormous from the pregnancy. Pawel loves his wife very much. Rosabelle cannot believe how lucky she was to find such a good man. Rosabelle resumes writing her book for a while before she needs to go to work. Her back is hurting her again. This weeks bills have arrived, they’re not bad with the larger house and all! 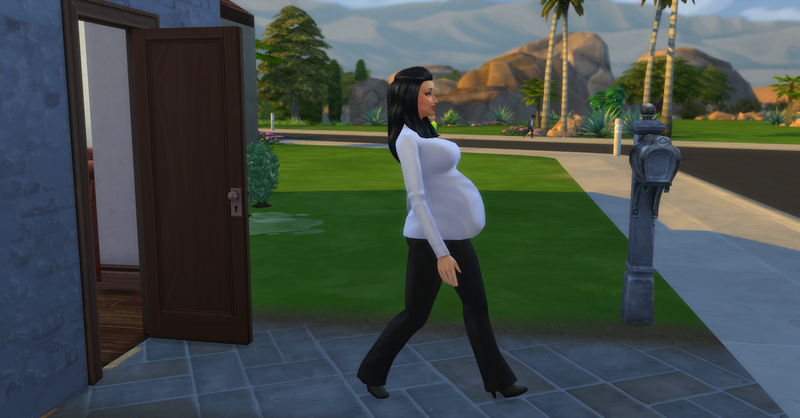 Rosabelle decides to go to work today even though she is in the 3rd trimester and not feeling hot. 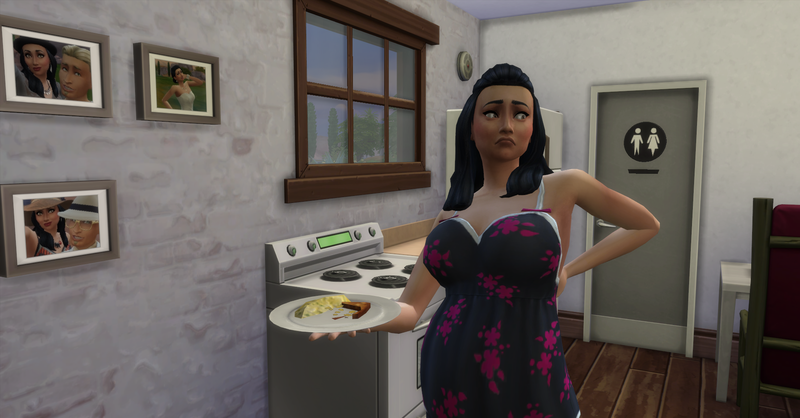 She knows the baby won’t come until tomorrow and she wants to save her family time for when the baby is born. And Pawel leaves for work too. The Royalty Report arrives for today and is thrown away (sorry, I keep forgetting to take screenshots!) before it can be documented. 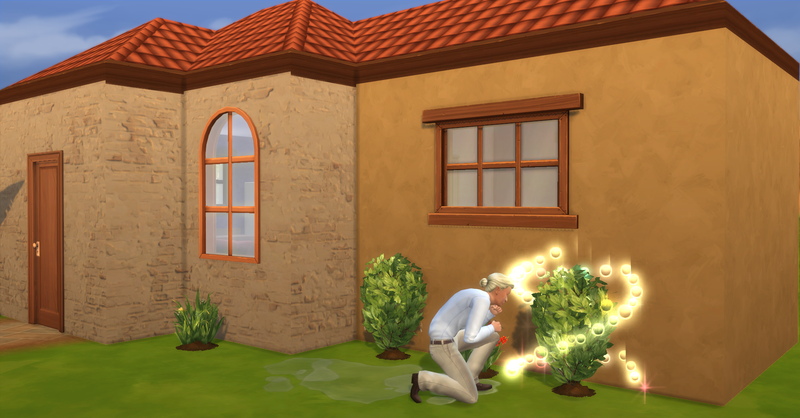 They earned §1775, their funds are now §26,266 simoleons. 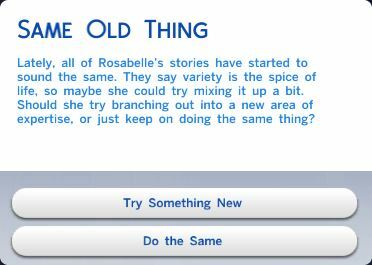 Rosabelle is struggling at work to add variety to her writing, she gets the opportunity to try something new. And that is a success and she gains some work performance for it. 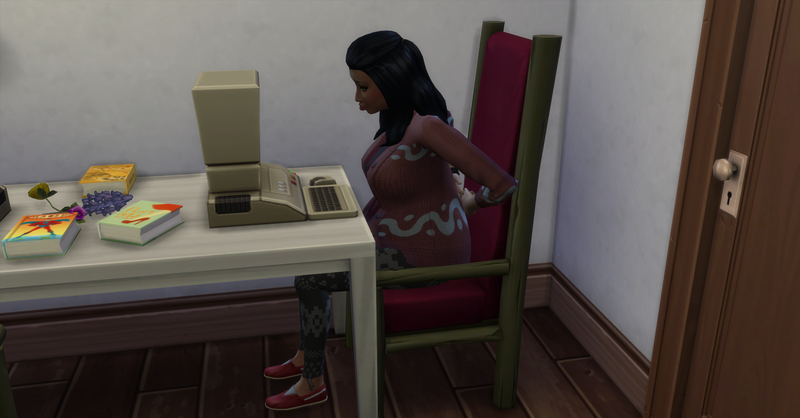 While at work Rosabelle becomes exhausted from being in the 3rd trimester and working so hard at the same time. She arrives home miserable and goes straight to bed. 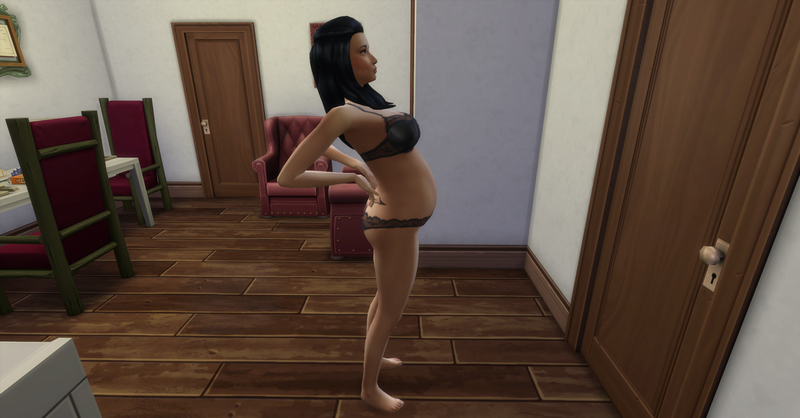 She is so ready to have this baby! Rosabelle was promoted while at work today, she chooses the Author branch of the writing career and is now a Short Story Writer. 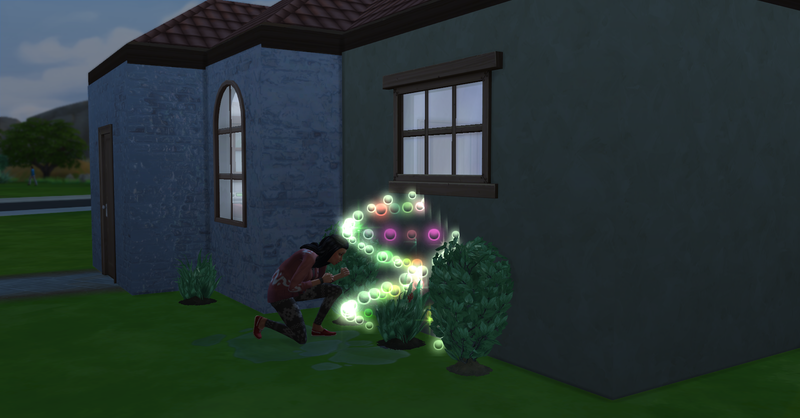 She earned §400 simoleons in regular pay with a cash bonus of §956 simoleons. She also received the Antique Tomes decor item. Pawel is also promoted at work today. 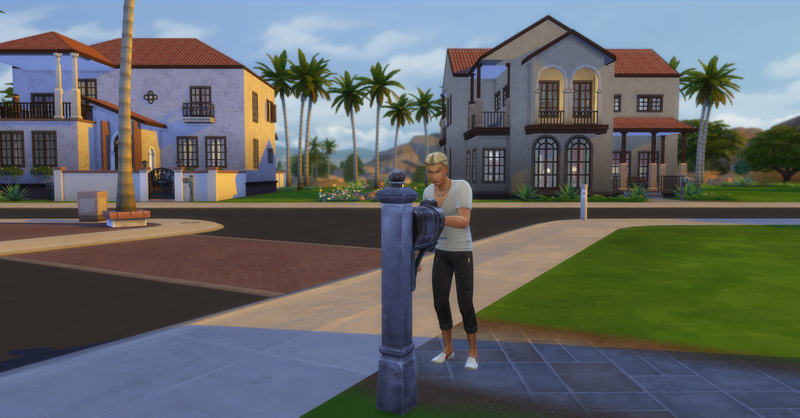 He is now a Regular Contributer and earned §352 in regular pay as well as a bonus of §703 simoleons. 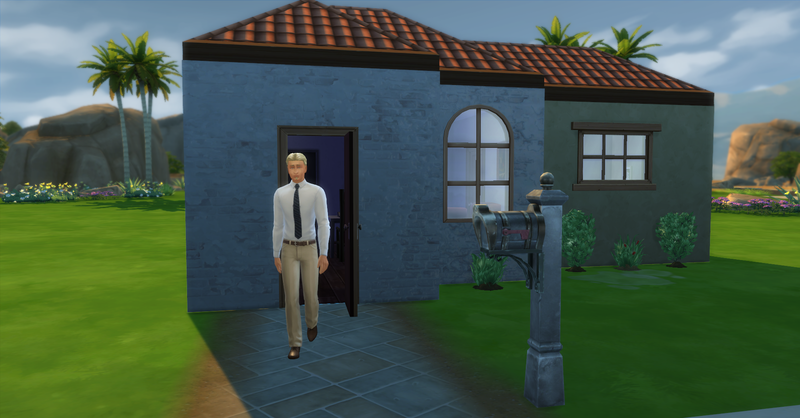 He also received the Open Book, Framed wall hanging they already have so he sells it immediately for §620, their funds are now §29,297 simoleons. 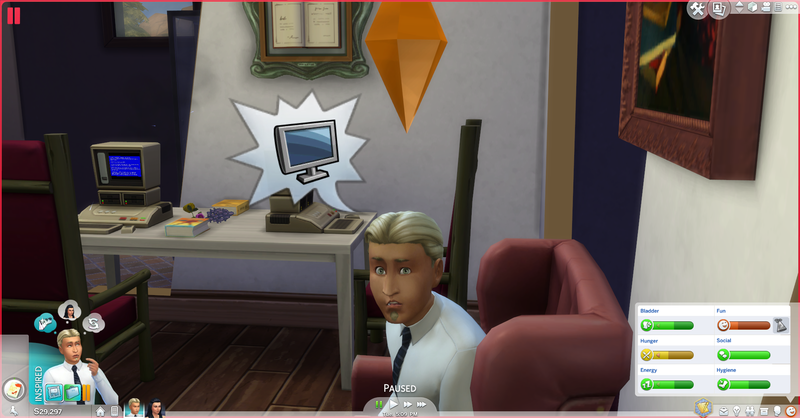 Pawel is stressed from working so hard all the time and complains about not owning a TV. Talk about a game aware sim. After he reads a little for fun, Pawel goes to tend the garden. He evolves the second blackberry bush to nice quality. 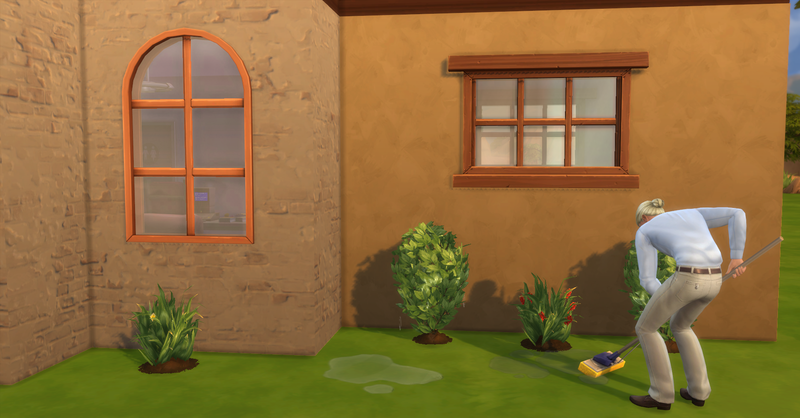 And because he is a neat sim he can mop up the puddles outside 🙂 They have been making him upset anyway. Rosabelle wakes up from sleeping really needing to pee. That big belly must be pressing on her bladder. 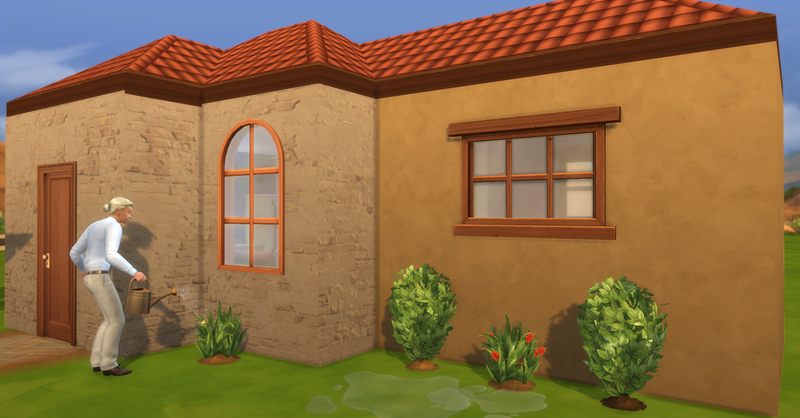 She uses the bathroom, while Pawel showers off from working in the garden. After using the bathroom she eats some leftovers and her back is hurting again. Look how big she is now! The baby could come anytime! Lovely, the toilet in now broken from Rosabelle using it and the sink is dirty from washing the dishes. Rosabelle cleans the sink while Pawel repairs the toilet. He gets 3 common upgrade parts which he keeps. 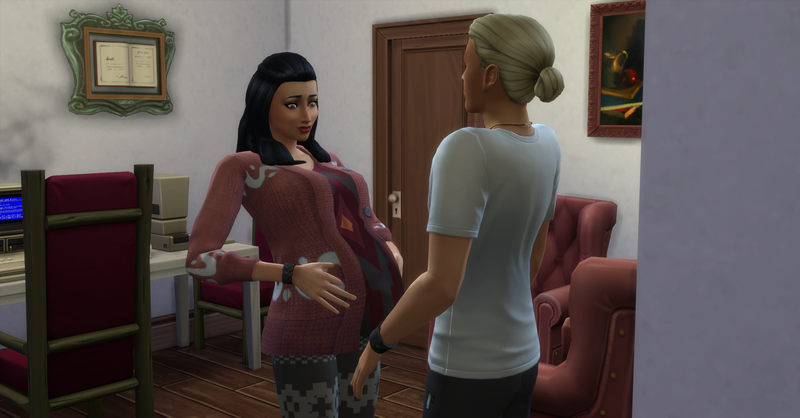 Then the expectant family goes to bed, there will be a baby born soon! Check back tomorrow at 9:00am PST for Week 4, Day 25 – A Special Delivery! Rosebud Challenge Week 4, Day 25 – A Special Delivery!